The U.S. Environmental Protection Agency (EPA) released on February 25, 2016, amendments to the accidental release prevention requirements of the Risk Management Programs (RMP) under the Clean Air Act Section 112(r)(7). This column summarizes this important proposed rule. On August 1, 2013, President Obama issued Executive Order (EO) 13650, Improving Chemical Facility Safety and Security, in response to several catastrophic chemical facility incidents in the United States, most particularly the tragic accident in 2013 at the West, Texas, ammonium nitrate warehouse. The focus of the EO is to reduce risks associated with hazardous chemicals to owners and operators, workers, and communities by enhancing the safety and security of chemical facilities. The EO specifically challenged the EPA to bolster the RMP and the U.S. Department of Labor (DOL) to improve the Process Safety Management (PSM) standard to better address chemical risks and prevent accidents. The proposed revisions are in response to EO 13650. Key areas of emphasis under the EO are: strengthening community planning and preparedness, enhancing federal operational coordination, improving data management, and modernizing policies and regulations. On July 31, 2014, in response to the EO, the EPA issued a Request for Information (RFI) seeking information on potential revisions to the RMP and related programs to modernize its regulations, guidance and policies as required under the EO. The DOL similarly issued an RFI in December 2013. The proposal builds upon and responds to information collected under the EPA’s RFI. The proposed revisions include several changes to the accident prevention program requirements. First, the EPA proposes all facilities with Program 2 or 3 processes must conduct a root cause analysis as part of an incident investigation of a catastrophic release or an incident that could have “reasonably resulted” in a catastrophic release. More importantly, the proposal would require regulated facilities with Program 2 or 3 processes to contract with independent third-parties to conduct a compliance audit following a reportable release. The three-year compliance audits required under the existing rule may continue to be conducted as self audits. To enhance emergency response, the EPA has proposed, among other requirements, that owners and operators of facilities with Program 2 or 3 processes coordinate with local emergency response agencies annually to ensure local emergency responders are sufficiently resourced to respond to an accidental release of a listed substance. The EPA also proposes all facilities must provide information to the public through easily accessible means, including a facility website. If no such website exists, the owner or operator may provide the information elsewhere, including at public libraries or government offices. Facilities would also be required to convene a public meeting for the local community within a specified timeframe after a reportable RMP accident. Many other issues are addressed, including proposed technical corrections and clarifications too numerous to summarize here. 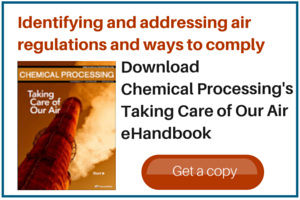 The proposed amendments are detailed — but are a must read for chemical stakeholders. It’s likely the requirement to consider IST will be controversial and the subject of much comment. While the STAA proposal would only apply to a subset of Program 3 facilities, the suggestion to implement any IST or “inherently safer design” is hotly debated and some commenters undoubtedly will object. Comments on the proposed amendments are due 60 days after the date of publication in the Federal Register.